Compare bathroom cleaners in New Zealand at Canstar Blue. Ecostore, Ajax, Countdown Homebrand, Countdown Select, Dettol, Earthwise, Easy-off Bam, Janola, Jif, Mr Muscle, OzKleen, Wet and Forget, and 30 Seconds Spray and Walk Away. * Overall satisfaction is an individual rating and not a combined total of all ratings. Brands with equal overall satisfaction ratings are listed in alphabetical order. Canstar Blue reseach finalised in December 2017, published in January 2018. Ecostore bathroom cleaner cleans up. 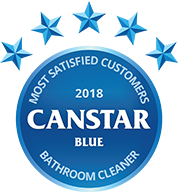 Two thirds of people in Canstar Blue’s recent (December 2017) survey said they worried about the amount of chemicals in household cleaners, so perhaps it’s no surprise that EcoStore, a company that prides itself on creating products without harmful or unnecessary chemicals, takes top spot for overall customer satisfaction for bathroom cleaners. What do we want from bathroom cleaners? We know that not regularly cleaning our bathroom means we’re sharing our shower, toilet, floor and sink with thousands, if not millions of germs and bacteria, but it doesn’t make the job any easier. 57% of Kiwis go as far to say it’s their least favourite job and in 17% of households there’s always an argument over whose turn it is! Luckily help is at hand with the myriad of bathroom cleaners that are available in New Zealand. Trouble is, which one do you pick? Canstar Blue asked 2,056 people about their bathroom cleaning habits and found that spray cleaners were the most commonly used. Liquids were the next most common and some people reported using disposable wipes or foams. No matter what preference people had on the type of cleaning product, the most important thing that contributed to their levels of satisfaction was effectiveness. This was followed by smell, value for money, ease of use and finally environmental friendliness. Unfortunately, only our overall satisfaction winner, Ecostore, and fellow environmental custodians Earthwise, scored well in the final category with five and four stars respectively. What is in our cleaners? Different brands of cleaner use different mild acids to melt away grime and scum. Unfortunately, to keep their cleaning secrets safe, most won’t disclose all the acids included in their products, nor will they reveal the quantity of them. However, common acids found in bathroom cleaners include hydrochloric acid, citric acid and phosphoric acids. Bleach is the generic name given to a number of oxidising agents used to remove stains and whiten surfaces. These agents give bathroom cleaners that eye-watering, throat burning, smell. Common forms of bleach used in cleaners include sodium hypochlorite, sodium peroxide and ammonium hydroxide. 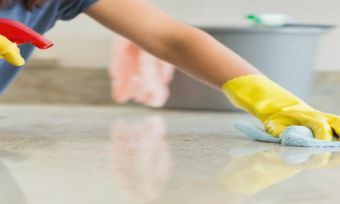 The acids and bleaches used in bathroom cleaners are what make them poisonous – especially to children, so remember to secure them well out of reach of kids. To try and mask the smell of those strong chemicals it’s common for manufacturers to add fruit and nut oils (or synthetic versions of them) to their cleaners in order to give them a more palatable scent. As the name suggests, Ecostore has an environmentally friendly attitude to its bathroom cleaners. Ecostore produce toilet cleaners, shower sprays and creams, and multipurpose wipes. The brand says its products are plant based and guarantee they have not been tested on animals. Ajax specialises in all-purpose cleaners, including floor cleaners, wipes and sprays. Ajax claims its products are the gentle alternative, with cleaners using fewer harsh chemicals such as bleach. Homebrand is Countdown’s budget brand and produces a shower spray, toilet cleaner, disinfectant and bleach. They are only available at selected Countdown supermarkets. Select is Countdown’s premium product brand. Products include a range of multipurpose sprays and wipes that can be used for bathroom cleaning. The Select range is only available at Countdown supermarkets. Dettol produce a range of disinfectant bathroom cleaning products, emphasising the importance of killing harmful germs and bacteria. Bathroom products include hand soaps, wipes and sprays. Earthwise produce a range of environmentally-friendly household cleaners. All products use plant-based ingredients as Earthwise say they want to make a lasting impression in your home, not on the environment. Easy-off Bam specialises in soap-scum and toilet cleaners as well as bleaches. Its cleaners come in foam, liquid and spray form. Easy-off Bam claims its products will kill 99.99% of germs and leave your bathroom sparkling. Unlike some brands in this list, Janola products are focused around the bathroom. This includes toilet cleaning gels, liquids and tablets, as well as soap-scum sprays and wipes. Jif prides itself on its effectiveness, claiming its products can deal with the toughest dirt, without harsh scratching. Jif was awarded our Most Satisfied Customers award for 2015. Mr Muscle produces bathroom cleaners and shower sprays that it says will not only remove soap-scum, but prevent it from coming back. Mr Muscle also produces kitchen, glass and drain cleaners. Australian company OzKleen prides itself on having products that are free from chlorine, ammonia and phosphates. Producing a whole range of household cleaners, OzKleen’s philosophy is to produce a range of eco-friendly, scientifically advanced products that can genuinely help people save time and effort. New Zealand company Wet and Forget produce Shower Witch and Tigers Paw that are designed to rid your shower of soap scums and oil as well as calcium build up. According to their website, Shower Witch contains no aggressive chemicals, is biodegradable and actually smells like a vanilla milkshake! It does what it says on the tin. You simply spray and walk away. The cleaner cleans without the need for scrubbing so all you need to do is come back and rinse. Spray and Walk Away have a range of cleaners for inside and outside the home. Canstar Blue surveyed 2,500 New Zealand consumers across a range of categories to measure and track customer satisfaction, via ISO 26362 accredited research panels managed by Qualtrics. The outcomes reported are the results from customers who have purchased and used a bathroom cleaner within the last 12 months– in this case, 2,056 New Zealanders. Our research has revealed what annoys us the most when it comes to bathroom habits. 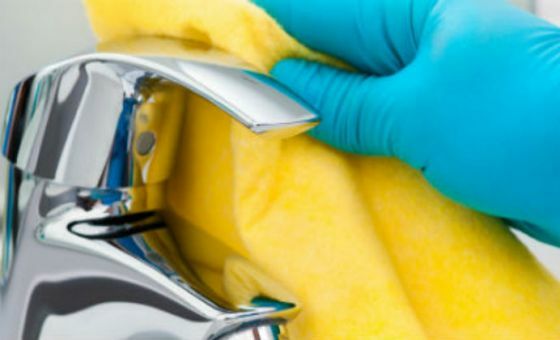 No one enjoys cleaning the bathroom, but you can get it over and done with in no time at all with these great tips. Our research has revealed that New Zealand families are concerned about the chemicals in bathroom cleaners. We take a look at some natural alternatives.